Ingredients Return Policy Buy Now! 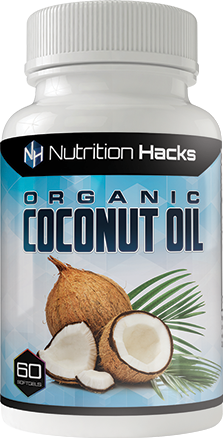 With Nutrition Hacks Coconut Oil – 100% Organic, Extra Virgin and now available worldwide. Now, the thing that makes the Nutrition Hacks Organic Coconut Oil better than any other coconut oil in the market place is that every super nutrient you can find in Extra Virgin Organic Coconut Oil is capsulized in a precise amount. Which means… you can get ALL the benefits of organic coconut oil WITHOUT having to consume so many calories… especially fat. And you're protected by our 90-day Money Back Guarantee! Simply put, if you don’t see the results you wish for, you can even ship back your empty bottles at any point within the next 90 days… and we will return everything you paid.